All-natural ginger in products from The Ginger People pack taste pizzazz and a host of health benefits that range from calming an upset stomach to boosting the immune system. Five new coupons from CommonKindness.com help ginger fans save money at the grocery checkout while funding their favorite nonprofit organizations. The Ginger People is giving fans of the bright and zingy Asian spice more reasons to try their healthful ginger products, with five new money-saving coupons downloadable from the free online grocery coupon leader CommonKindness (www.commonkindness.com). Every coupon redeemed saves customers money on their coupon purchases, while generating funds for the nonprofit organizations of their choice. 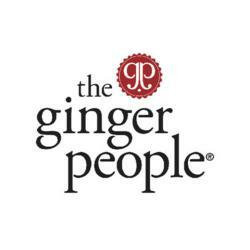 All-natural ginger-based products from The Ginger People are available in many surprising forms, including low-calorie ginger candies, ginger syrup, ginger spread, sweet chili sauce, and a liquid ginger soother—good in mixed adult beverages and as a hangover cure the next morning. Surprisingly and satisfyingly spicy—and known as the only candy that bites back—Gin Gins are America’s best-selling ginger candy and the winner of the Fiery Food Association’s Scovie Award for “Best Candy.” With their queasy-quelling properties, Gin Gins are great for fending off nausea while flying, boating, or driving on a winding road trip. 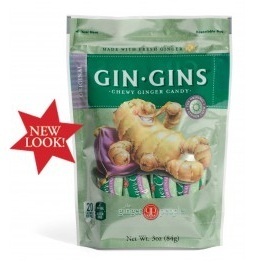 Containing 10% fresh ginger – more than any other ginger candy = Gin Gins are also great as a healthy snack to help support losing weight or quitting smoking. Ginger contains over 25 powerful antioxidants and is known to help relieve sore throat pain and headaches, warm internal organs, and ease nausea—including sea sickness. 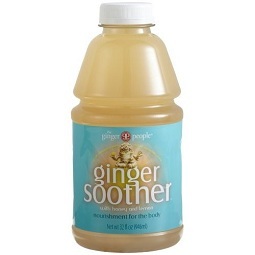 Many use The Ginger People Ginger Soother as a tonic to treat colds and flus, as a mixer for innovative drinks, and—ironically—as a remedy for hangovers. 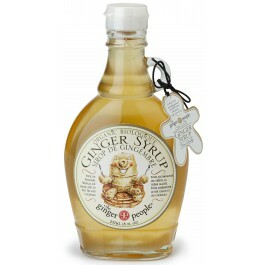 Something new to spice things up at the breakfast table, The Ginger People Organic Ginger Syrup is a kicky alternative to traditional pancake syrup or agave sweetener for coffee or tea. It also adds a unique twist to many recipes. Flavor sparkling water to create a tasty non-alcoholic beverage. Add it to warm water (and brandy if you please) as a soothing nightcap. Glaze roasted carrots, chicken, pumpkin, and yams. Top ice cream for an unusual and interesting dessert. Sweetened ginger served with aged Gouda has been a traditional hors d’oeuvre in Holland for centuries. The Ginger People now bring this flavor treat to America. 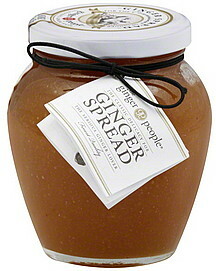 Ginger Spread is made from young stem ginger that is steeped in cane sugar syrup and ground to a fine paste. Layer Ginger Spread onto thin slices of pear and aged Gouda, Manchego, or Cheddar cheese for an impressive yet simple appetizer. Swirl Ginger Spread through yogurt, crème fraîche, cream cheese, or whipped cream. Spread over toast, crumpets, or scones. Spoon into a warm bowl of oatmeal. Add to a fruit smoothie. Lace through a fresh fruit salad. 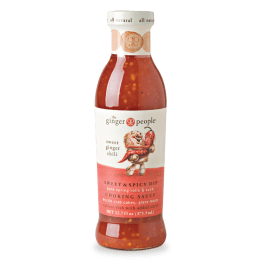 Inspired by the spice markets of the Far East, The Ginger People’s Sweet Ginger Chili sauce combines the flavors of sweet red peppers with the heat of ginger and chilies. Drizzle over grilled jumbo prawns, crab cakes, burgers, or salmon. Glaze roasted chicken and pork chops. Serve as a dipping sauce with spring rolls and pot stickers. Blend with cream cheese to create a simple yet sensational topping. To find and use coupons for The Ginger People snacks, go to CommonKindness.com, fill in the easy sign-up form, then designate your favorite nonprofit from the user-friendly directory. Then select printable grocery coupons for items you typically use or want to try, print them, and head to the store. For each coupon shoppers redeem, CommonKindness will donate 20% of its distribution fee to nonprofit groups of the shoppers’ choice. CommonKindness is the new online grocery coupon site that operates on the principle of kindness and aims to benefit consumers, nonprofit organizations, and brands. CommonKindness is revolutionizing the online coupon industry by eliminating coupon loading and change costs, charging brands only for coupons redeemed, and donating 20% of its revenue to nonprofit organizations chosen by CommonKindness shoppers. To learn more, go to http://www.CommonKindness.com or call (415) 887-9537. As America’s foremost supplier of all natural ginger ingredients and home to the most award-winning ginger brand, The Ginger People is passionate about all things ginger and committed to its virtues. With state-of-the-art ginger factories in California and Fiji, The Ginger People take pride in being the most quality-oriented and environmentally-conscious ginger producer in the world. To learn more, go to http://www.Gingerpeople.com or call (800) 551-5382 x225. This entry was posted in adult beverages, coupons, halloween, halloween cocktails, healthy snacks, Kindness, marketing, nutrition, school fundraising and tagged being kind, commonkindness, couponing, coupons, fundraising, ginger candies, ginger candy, ginger snacks, grocery store coupons, health, healthy snacks, printable grocery coupons, school fundraising by CommonKindness. Bookmark the permalink.